Learn about the emotional drivers that destroy your relationship! Family is one of the most difficult relationships that exist. Some of you may recall when I wrote about the challenges of my family during the death of my Mom. For the article click here. Family is not by our choice. We just didn’t happen to meet them, felt a connection and decided to keep in touch or become very good friends. We are born through a birth canal that connects to the relations of that canal and boom— good, bad, or indifferent, we are in a family. Through a forced connection, we are either working to make it work, or not. I must admit, I can manage relationships of any sort; friendship, intimate, casual or a network of associates. These are fairly easy, as they come to be, or be gone, by my choice. Family? We are stuck. If you are a person who is driven, ambitious, have a keep it real kind of personality, and do not succumb to the frailties of what other family members choose to be weakened by, you are a trouble maker. Being different, creates family conflict. I have had numerous conversations with people, who have had the same family experience. What is the deal? During the time of death, we need each other. Death is not the time for casting blame, lying on each other, forgetting the goodness of each other, fighting over pennies, and power pulling on funeral arrangements. Since my Mom’s passing, I have been met with one of the biggest decisions I’ve had to make. Coming back to a broken family that created division through lies, deception and betrayal, in a time where we should have been standing, crying and loving together. I didn’t break it. I tried not to let it become broken. Sometimes, when a family knows you have the spirit of not giving up, and a willingness to work things out, they will take your love as weakness. They, on the other hand, can be angry, stubborn and down right insolent, because they know your character. When they do finally come around to their senses, they know you have the kind of heart that will accept them and do what is right. Recently, my family has had to face an ugly and painful lie, they thought was truth. The person they thought they should have supported and believed in; and who they thought were righteous, actually turned out to be a liar, and the cause of a problem they actually laid at my feet without reason. It may take months, days or weeks, but the truth always has a way of coming to the front; and when it does I am met with questions of what really happened, why someone would lie, and the irrefutable proof that I was right. Being right, to me, is not about defending myself. There is a creed by which I live. I do not defend myself in the middle of gossip. Folk talk about people all the time, without proof, and without an idea of what is going on. I’ve never been a participant in gossip, but others make it a talking past time. Then they turn around and say their God is about truth. In order to hide the truth, a liar will create drama, and indulge in pettiness with no intent to make peace. So, I extend my hand in peace, especially when they are screaming and yelling. I will make that allowance and not fight back, especially in the time of death. A rambunctious liar will cause a smokescreen in the form of drama. When this happens, just sit and watch, there is an uncovering of the lies behind the drama. A lie never works single handedly. It needs the help of another lie to be made believable. When we have the strength to stand in the middle of a crisis and pain; and have the courage to face a lying accuser, in the spirit of peace, rather than a fight. We learn that having these abilities has nothing to do with the absence of frailty, anger, pain or fear. It is about the priority in the situation for the need of strength, when weakness is not an option. It is about the priority of courage, because fear will not win the battle. It is about a pain much more pressing than my own. It is about using anger as my emotional resistance during a most vulnerable time in my life. So, I move forward with my life, making the right decisions and doing the right thing. Knowing that family is not the relationship I have chosen, but for some reason, it chose me. I make the best of the bad, and do what is right in the midst of the wrong. Keeping in mind, that who I am and what I do will most likely continue to be unappreciated by family, and in truth, I may always be misunderstood. My strength and stand will be misjudged again. The love in my heart will never be returned in the magnitude and the way in which I have given to them. One thing is for certain. I do have the power to walk away, and I could, and be completely justified in doing so. But me doing the right thing and generating great Karma and blessings is my reward. What my family does and what they generate is on them and by their choice. I would not have chosen a family who is unsupportive and unloving, but what I can choose, is to be the best I can be, and keep on the path of the right choices I choose to make, can make, and the life I choose to live. With this in mind, I have more than enough choices to make and the power to make the right choices. This is the best way to deal with family— the relationship I did not choose. I am passionate about Relationships. To be in a Relationship you need skills. Some of the best skills to have are: a creative perspective, strategy in developing a win-win for both sides, be able to speak and receive honest communication, stay persistent, yet calm in conflict, some negotiation skills, and humor. These skills and more you need--- without emotion. If you have logic as the primary and emotion as secondary, there is nothing you cannot overcome in a relationship. I tell you how you bring destroyers into your relationship. Join me! It is a fascinating and revealing journey. 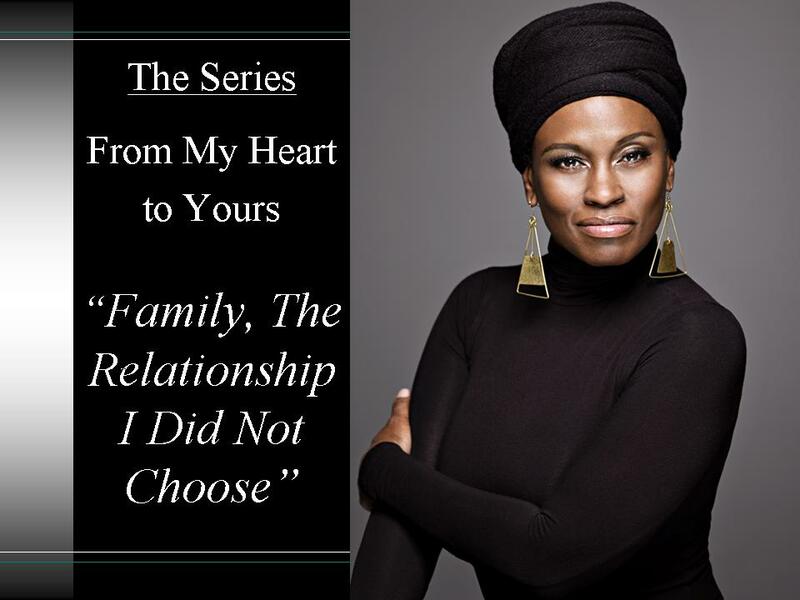 This entry was posted in From an Author's Perspective, Settling and tagged bad family relationships, being rejected by family, family don't understand, relationship with family. Bookmark the permalink. Men of KamaSutra! A Sensual Wow! End the Ignorance in Relationships! "You Can't Handle the Truth"
Relationship: Am I The Wrong Partner? Search any relationship topic! It’s here.